Tommy Amaker said all the right things Wednesday, but he didn’t say he would be Harvard’s coach next season. SPOKANE, Wash. — This is a big bowl of awkward. 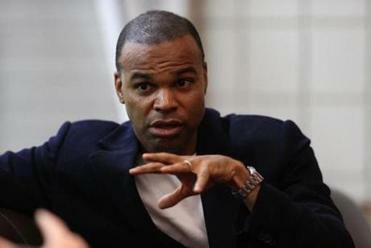 Tommy Amaker is set to coach No. 12 seed Harvard against No. 5 seed Cincinnati in the first round of the NCAA Tournament Thursday, and when the Crimson lose their next game, Amaker is gone. He’s Jacoby Ellsbury gone. Harvard’s loss will be Boston College’s gain. This is not official, mind you. Maybe Amaker can push the Crimson all the way to the Sweet Sixteen this year. Folks at Mr. Bartley’s are hoping Amaker will still be at Harvard next year, and the year after, and the year after that. Maybe he’ll be there long enough to get his own statue in the Yard, alongside John Harvard. But I’m betting he’s gone as soon as the Crimson lose their next game. The Boston College job opened up Tuesday when BC fired Steve Donahue, and Amaker is the odds-on favorite to be taking his talents to Chestnut Hill. Sorry, it just makes too much sense. 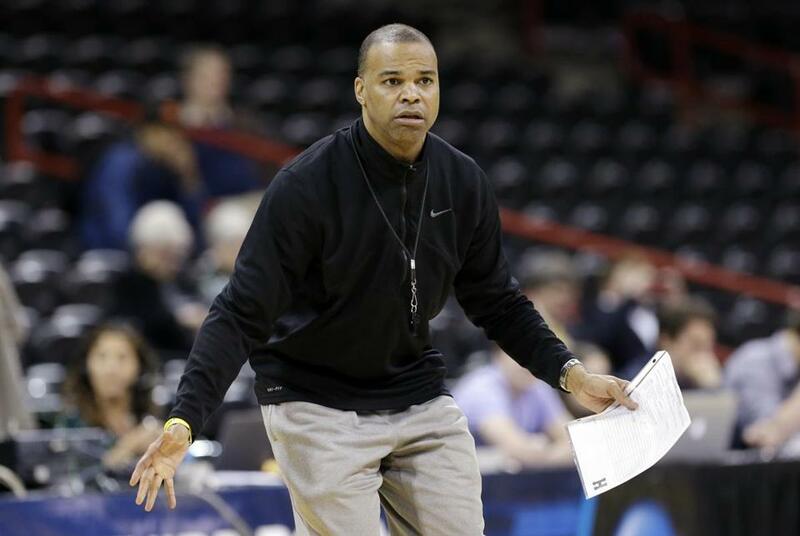 The 48-year-old Amaker has done everything he can do in seven seasons in the Ivy League. He has hit the glass backboard ceiling. He is an ACC guy (Duke) and a man who can take BC back to the levels it reached under Bob Cousy, Dr. Tom Davis, and the much-maligned Al Skinner (Al must be smiling a lot these days). And he would not have to move his family. The Harvard coach said he sympathizes with the fired Steve Donahue but is focused on the NCAA Tournament. Amaker and his players took questions from the media Wednesday, and it was an unfortunate session, one with far too many questions about Amaker’s future instead of the important matter of Thursday’s game. Amaker and his players have worked very hard to get here. Playing in the NCAA tourney is a big deal in every way, but the quest is suddenly compromised by the timing of the Donahue firing and the specter of Amaker leaving. “One thing we have learned is that you can’t control timing,’’ Amaker said. So we asked the questions. And they gave us the answers. And I didn’t hear a single word that suggested Amaker is anything but gone. It reminded me very much of the aforementioned Ellsbury, a nice young man who knew he was leaving the Red Sox but made sure he would never have to explain any phony declarations of loyalty. Amaker was similarly careful. He said all the right things, without saying anything that’ll blow up in his face if he’s announced as BC’s next head coach next week. “I certainly can appreciate the question,’’ said Amaker, “but our focus certainly is on our team and that’s only fair for our kids and our program and our school. “I don’t ever comment on other jobs or positions. I’m fortunate to have the one that I have. I’ve been on the other side of not having a job and having lost a job. So I’m sensitive to coaches and people and programs that go through those unfortunate circumstances. It was interesting talking to the Harvard players. Wesley Saunders, Brandyn Curry, Siyani Chambers, and Laurent Rivard sat for the official “student-athlete” press conference (the pompous/fraudulent NCAA insists its players are “student-athletes,” and it might actually be true in this case), and they tried hard to downplay the notion that their coach is probably leaving next week. “I think we don’t really focus too much on that stuff during the season,’’ said Saunders, a junior who was Ivy League Player of the Year. “To be honest, I didn’t really hear anything about that,’’ said Chambers, a sophomore guard. Yikes. Crimson players must have surrendered their iPhones when they went through security at Logan Monday. Amaker said he had not addressed his team on the hot topic. “I’ve always been . . . there’s nothing to address,’’ he said politely. “There’s nothing for me to talk about, to comment on. I can’t address speculation about so many things all the time. But I understand the question, and I certainly appreciate, obviously . . . wanting some type of maybe comment from me, but my comment is exactly what I mentioned before and I don’t like to comment on other situations or jobs. “I certainly feel like what we have in front of us is the most important and I do think that’s the right thing for our school and our kids and in all honesty for me. And the health of all those things that go into that. This is Harvard’s third straight appearance in The Dance, and a strong showing makes a nice Cinderella story for bracketologists and Vegas bustouts gambling through a late breakfast. Harvard stunned New Mexico last year in Salt Lake City, a 14 seed beating a 3 seed. We are a couple of years removed from Linsanity, but anytime Harvard does anything on the national sports stage, it’s a big rush for the White House, corporate America, and Harvard dropouts like Bill Gates, Mark Zuckerberg, and Matt Damon. President Obama picks Harvard to beat Cincinnati Thursday. I’m picking Boston College to hire Amaker next week.